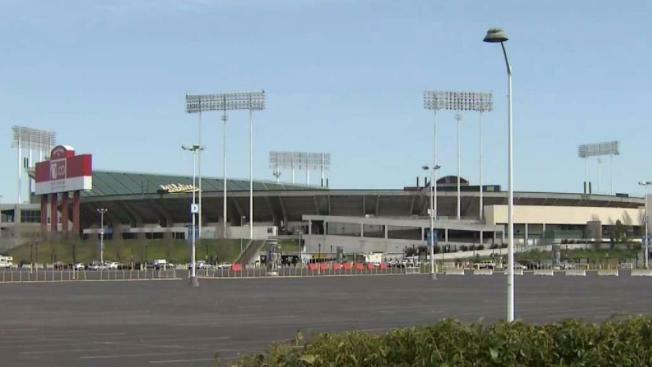 Alameda County supervisors have decided to negotiate the sale of the county’s share of the Oakland-Alameda County Coliseum complex to the city of Oakland, according to a release from the board Tuesday. The move comes in the wake of the Oakland A's expressing an interest in buying the Coliseum land, and the supervisors said in a statement their decision is in the spirit of promoting successful new development and keeping the A’s in Oakland. Alameda County and Oakland have jointly owned, operated and managed the Coliseum complex for more than 50 years. The two entities also jointly own the Raiders training facility and headquarters in the city of Alameda. County officials will begin talks with the city of Oakland to sell its share of the Raiders’ Alameda properties and the Coliseum complex, defined as the parcel containing the Coliseum and Oracle Arena, as well as an adjacent parking lot known as the "Malibu site." The Golden State Warriors, who currently call Oracle Arena home, are moving to San Francisco in 2019, and the Raiders, who share the Coliseum with the A's, are set to move to Las Vegas in 2020. The A's have played at the Coliseum since 1968.